Pure Old Skool Raver. 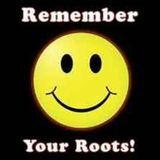 Always remembered, never forgotton, Old Skool till I die! Quady Park, Hacienda, D.A.D @ The Pier, Hacketts, Monroes, Shellys, Maximes, Legends, Life, Eclipse. Fantazia, Blackburn Parties, Park Hall, Charnock Richard Services, Northern Project, Convoys, Glowsicks, Shades of Rhythm, MAW, Choonage, What you had?, Want a chewy?, PKA, Hands in The Air, Gurning, Doves (real that is! ), Peace & Unity, FPI Project, Lived the dream. One day back in &apos;89 I went to a nightclub. It was called Quadrant Park in Liverpool.This was when music was underground. We felt every beat, if you know what I mean! Tunes would come on and I would lose it. I felt it with every inch of my body. I felt I was the greatest dancer in the place and, so did every one else around me. We were lucky. Music was being BORN! Peace & unity to all who were there & keeping the vibe alive. One love, dance on. Always remembered, never forgotten, Old Skool till I die!